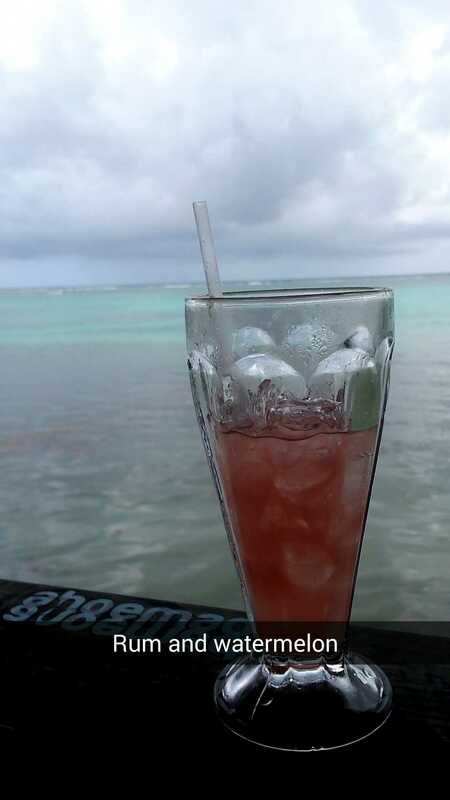 I spent my 25th birthday and New Year’s in Belize. Flying out of ATL, it’s the best value for getting some winter sun – cheaper than Florida. The trick is to fly in to Cancun and take an ADO coach bus down to Belize City. It adds an extra day of travel, but cost less than half the price of a direct flight. 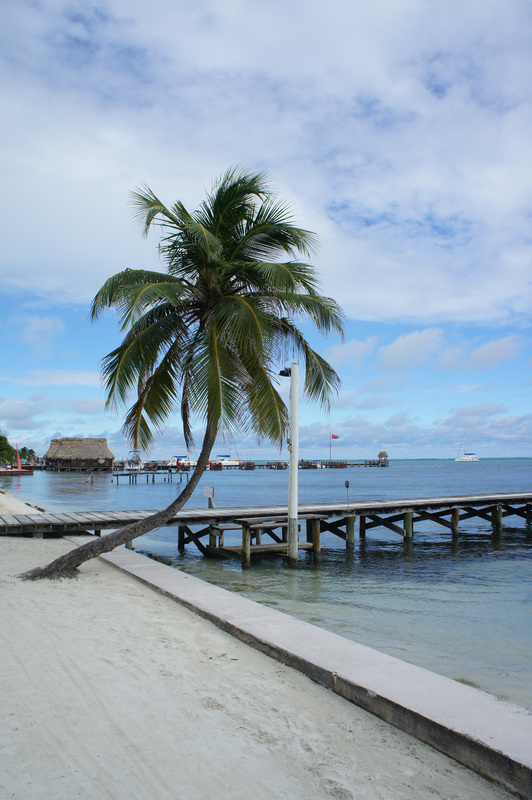 Almost everyone speaks English in Belize, the exchange rate is favorable for US currency, and the country is beautiful. It also costs way less than a similar trip to Mexico. Anyway, I’ve finally gotten around to ripping the photos off my phone. View from my room at Pedro’s Hotel. They are a combination hotel/hostel with affordable prices, walking distance to downtown San Pedro. Last year they loaned us bikes, which are the best way to get around the island. 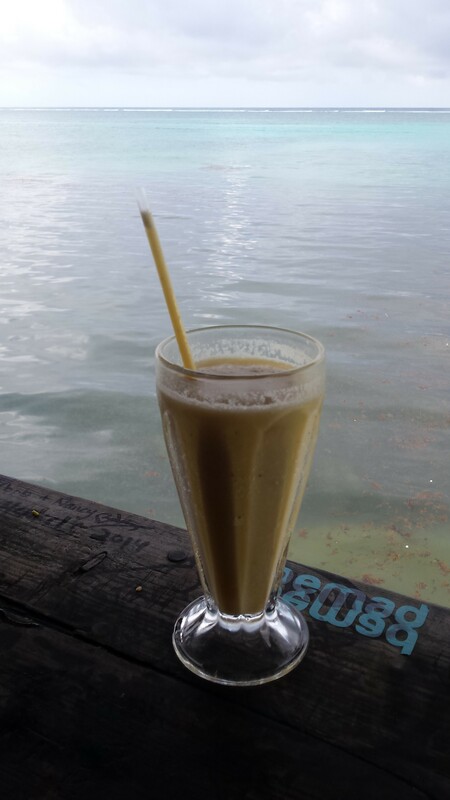 A ‘bananango’ – the perfect mix of banana, mango, and alcohol. 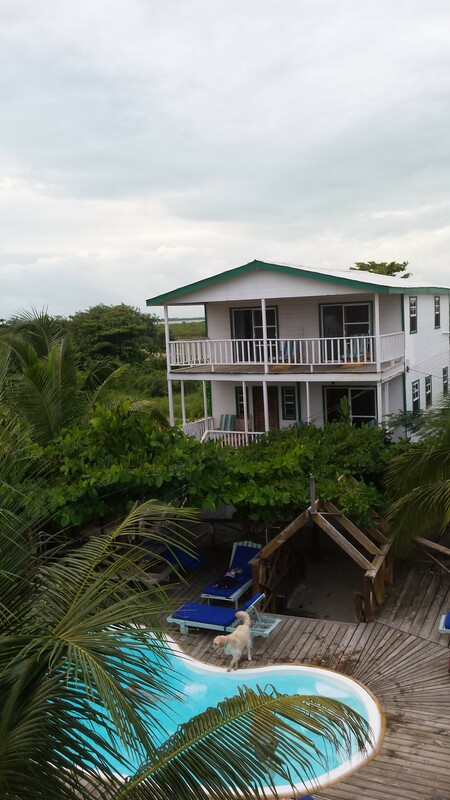 Palapa Bar, north of town, Ambergris Caye, Belize. 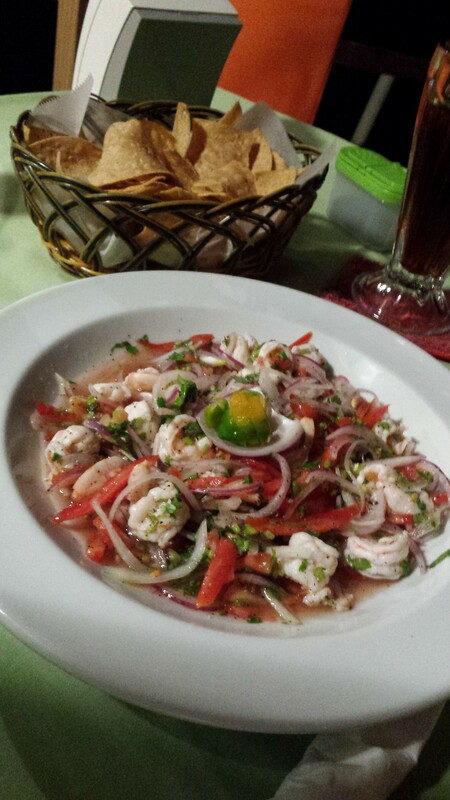 Shrimp ceviche, Hurricane’s Bar, Ambergris Caye. Unfortunately there was a shortage of conch during my visit, but the shrimp was excellent. Best ceviche on the island. Trash barge, covered in fireworks, shortly before the New Year. 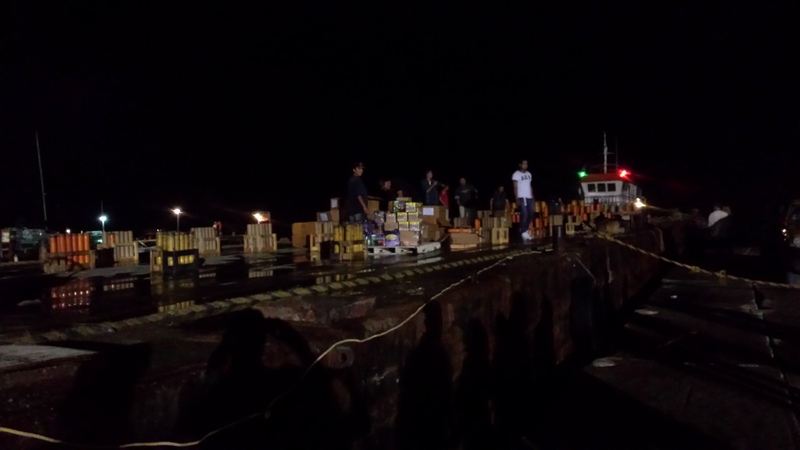 San Pedro has a very impressive New Year’s fireworks show – much longer than most 4th of July displays! 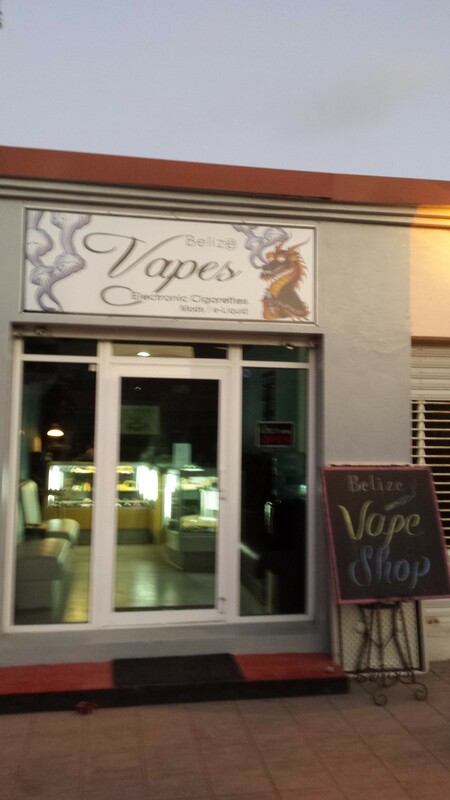 One of the first shops you see when you get off the water taxi in Belize City. Take a close look. 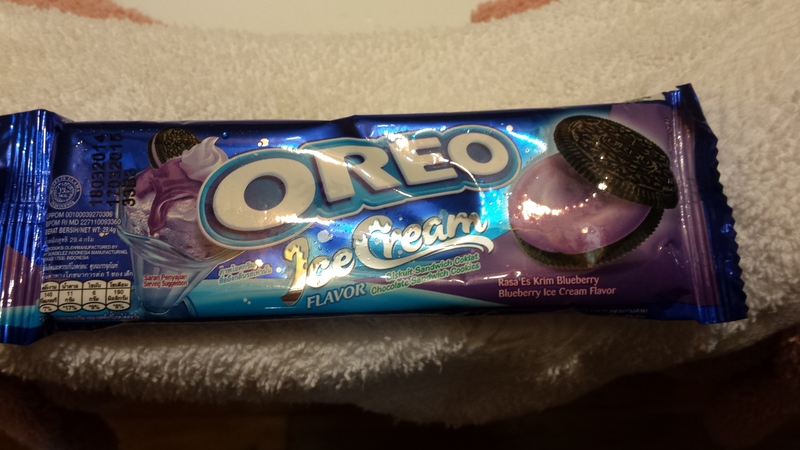 Yes, that’s “Blueberry Ice Cream Flavor” Oreos. I never! 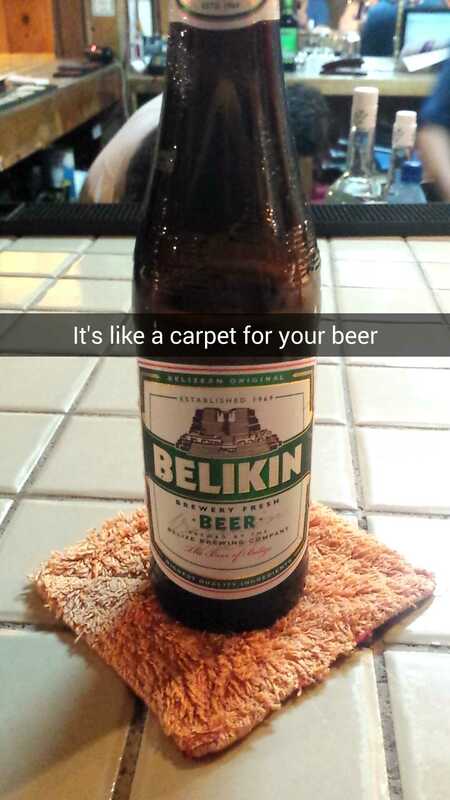 Belikin, the national beer of Belize. It’s almost like a Corona, but better. I noticed at bars that there were lots of carpet coasters.